For the true animal lovers on your client list, there are properties around the world that offer opportunities to get up-close and personal with some furry friends. From spider monkeys and whales to sloths and alpacas, here are some of the hotels and resorts in Mexico and Latin America making it easy for your clients to encounter some wildlife. Located between Banderas Bay and the Sierra Madre Mountains, the Marriott Puerto Vallarta Resort & Spa is ideal for whale watching. From December to March, humpback whales gather in Banderas Bay singing their harmonious whale songs as part of their courtship ritual. Whales can often be spotted right from the resort’s balconies, but for those who want to get a closer look, the resort can arrange whale watching tours with Vallarta Adventures. In addition, from June to December, fans of sea turtles can participate in the resort’s turtle protection program and have the opportunity to release newly hatched turtles into the ocean. Heading farther south to Guatemala, travelers can spend time at the Las Lagunas Boutique Hotel for an immersive experience with nature at a property that spans across 300 acres in the Jungle of Peten. 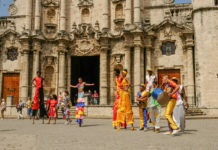 The 19-suite boutique property blends hospitality with ecological reserve and provides guests with a variety of opportunities to learn about the local history, culture, and natural habitat. Daily ATV tours can take the adventurous visitors through the jungle to encounter animals like ocelots, boars, tapirs, and deer. Las Lagunas also offers private boat tours to Monkey Island, where spider moneys swing throughout the jungle and even hop on board the boat to grab food from the bucket of vegetables on deck. 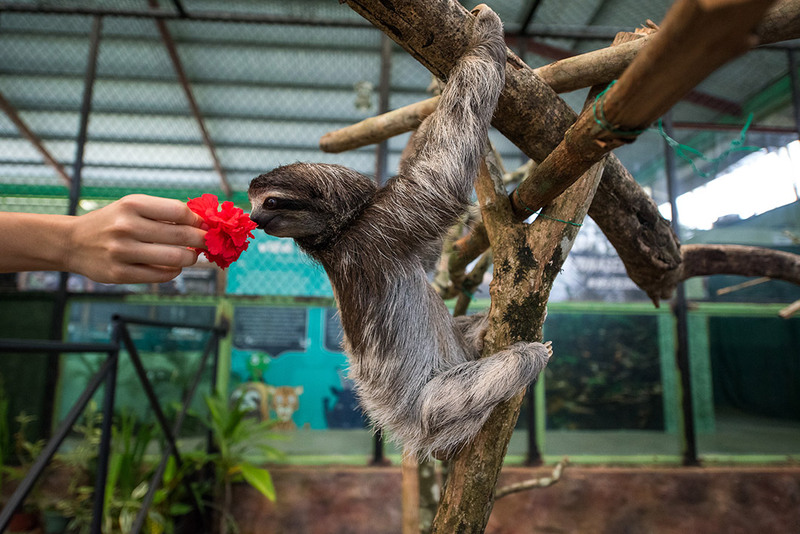 Continuing on the journey south to The Westin Playa Bonita in Panama City, where guests can coordinate visits to the nearby Gamboa Rainforest to experience the sloth sanctuary and witness other animals in their natural habitat such as the white-headed capuchin monkey or the howler monkey. Meanwhile in Peru, travelers can head to the five-star JW Marriott El Convento Cusco, where the animal enounters happen right onsite. The property may be known for its Inca-inspired guestrooms and its rich heritage, but animals lovers will be delighted to find alpacas roaming the area. 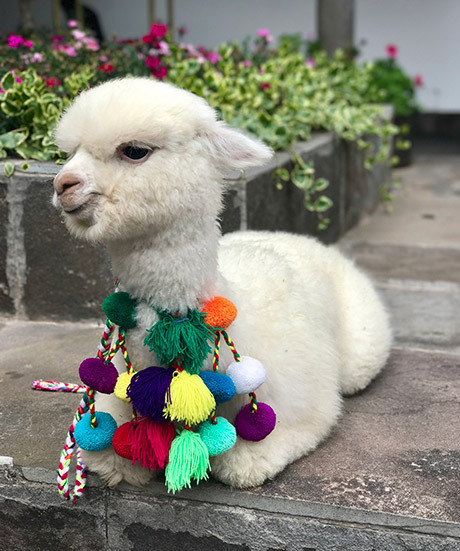 Panchita, the resident baby alpaca, has become one of the highlights of the property and makes for a unique animal encounter as she greets guests in the courtyard and even poses for selfies. For more information on the properties, visit puertovallartamarriott.com, laslagunashotel.com, marriott.com, and jwmarriottcusco.com.